This is Sue’s recipe for Cinco de Mayo popsicles. The bright sections are made with strawberry, coconut and lime. She includes some great tips that help to get crisp stripes. She explains how to make the strawberry puree, sweetened coconut milk and lime fresca that make up the red, white and green stripes. This is a terrific, all-natural popsicle recipe that would taste great at any summer gathering. 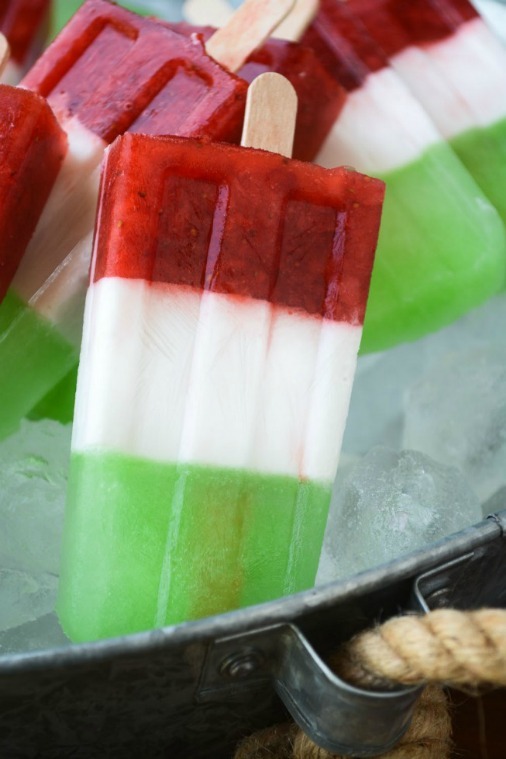 Click on the How to Make Cinco de Mayo Popsicles link below for the complete recipe. By the way, if you don’t have a popsicle mold, the Tovolo Groovy Ice Pop Molds are both popular and reasonably priced.